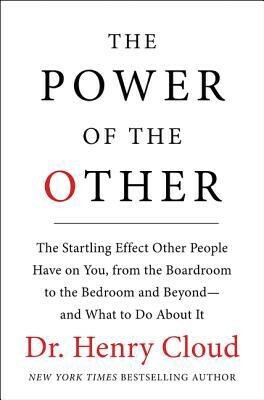 “The Power of the Other” is a book about how other people affect us and how our success depends on our relationships with others. This book explores this concept across varying contexts ranging mostly from organisations to our personal life. The first couple of chapters explain the importance of relationships (the “other”) and how our growth is dependent on them. Henry Cloud then puts together a structure for us to determine what kind of connections we have. He describes the “Four Corners of Connection” which are Disconnected (Corner One), Bad Connection (Corner Two), Pseudo-Connection (Corner Three) and the True Connection (Corner Four). The symptoms of each corner are presented to help us identify which corner we are in. Needless to say, the only good connection is the True Connection (Corner Four). Next, we learn how to get to Corner Four from the other corners. After which, we get to see how to fuel ourselves from our connections. The following chapters deal with how Corner Four gives us freedom whilst also making us responsible for the health of the relationship. Henry Cloud then explores motivation and trust and their interdependence with connections. Each chapter is a mix of small anecdotes and exposition. These anecdotes are used to set up the next step of exposition in that chapter. Research is quoted where necessary though the amount of citations is lesser than what I would have liked. I liked the unique perspective of looking at how relationships affect us as opposed to most other self-help books which focus on internal motivation. In addition, the book was easy to read. I think that while the core concept certainly has merit, Dr. Henry Cloud could have condensed this book into fifty pages or lesser. There is a lot of filler material and, after a point, the book gets repetitive. The biggest failing is the lack of insights that the reader can take away. I would have also like to have seen more rigour in the presentation of ideas i.e. more research being cited. In the end, Henry Cloud has to rely on anecdotes for the most part to convey his idea across. This book has a high rating on Goodreads, which is one of the reasons I read it. I am surprised by its lack of content given its popularity. So, there’s that. I would not recommend this book since I don’t think it will add to the reader’s lives. There are better self-help books out there.